Business Based Skills Authors: best selling authors Dr. Robert Cooper, DeWitt Jones, Kouzes and Posner, Patrick Lencioni, Ken Blanchard, Stephen Covey, Ed Oakley, Doug Krug, John Kotter and more.We offer an excellent selection of training workshops from the best known business authors. Some of these best selling books have also been adapted to training videos with workshop material for participants. 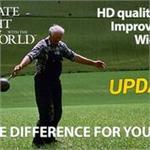 Take a look at our selections. We have many programs from the the esteemed leaders in their field of Leadership, Change, Teamwork, Delegating, Vision, Empowerment, Values and Ethics. A new look for a timeless message from Joel Barker on paradigms and when the change from standard or norm creates resistance how to be open to the change. Patrick Lencioni's newest book on the importance of eliminating politics and confusion from the organizational environment in order to achieve higher productivity and morale. 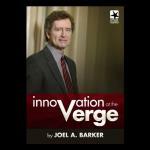 Joel Barker's classic on paradigms has been updated and takes a new look at the process of change and keeping ahead of your competitors. Believe It and You'll See It! 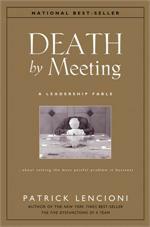 Solutions to the age old problem of dysfunctional meetings. This powerful tool helps leaders to immediately understand their decision making style and to identify potential roadblocks. A business approach to Training and Development developed by Kaliym A. Islam using the DMADDI process-Define-Measure-Analyze-Design-Develop-Implement. All time best seller from Coach Lou Holtz! Three part Series with Dr. Marianne Jennings exploring ethics building within organizations. Emotional Intelligence Skills Assessment (EISA) Deluxe Set offers a complete package for conducting a dynamic workshop and assessment designed to introduce EI into any organization no matter how large or small. 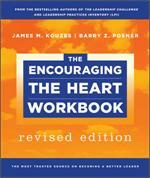 Employee Workbook for Encouraging The Heart Workshop participants. This module of the Ethics Series with Dr. Marianne Jennings focuses on the importance of the example that all employees set from the bottom to the top of an organization regarding ethics policy. In this segment of the Ethics Series we explore Why Ethics Matters with Dr. Marianne Jennings. Creativity is not about being artistic but about an attitude! 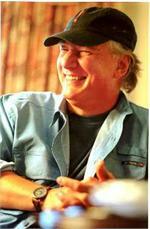 DeWitt Jones, photojournalist guides us through this inspiring workshop. 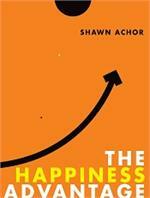 Extraordinary Leader defines sixteen competencies of high performing leaders. Based on book by Jack Zenger and Joseph Folkman. 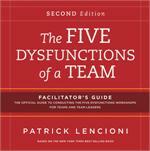 Perfect training workshop to kick-off a team building initiative with author Patrick Lencioni DVD. 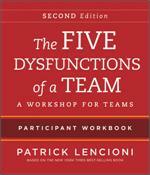 For Trainers, Managers or Team Leaders to deliver the Five Dysfunctions of a Team Workshop. Team survey to compliment the Five Dysfunctions of a Team workshop or use as a stand alone assessment of team cohesiveness and productivity. 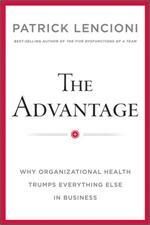 Patrick Lencioni focuses on a leader's crucial role in building a healthy organization- often overlooked but an essential element of business life. 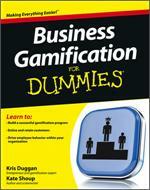 Business Gamification For Dummies explains how you can apply the principles of this strategic concept to your own business model. Eileen McDargh, author and host shared "Who would have thought that by slowing down, I would know more by noticing more?" 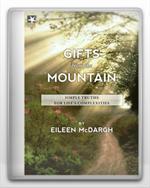 one of the messages of "Gifts of the Mountain-Simple Truths for Life's Complexities" inspiring program for each of us. I Hear What You Say, But What Are You Telling Me? The Strategic use of nonverbal communication in mediation is the subject of this book. 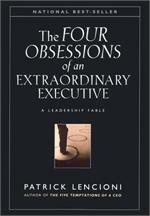 Tom Peters Classic based on his book In Search of Excellence showing case studies on what it takes to motivate employees to seek excellence. Only $299 until September 30th. Jack Zenger is an author of numerous books and CEO of the Zenger Folkman. He is widely acclaimed for his insight into Leadership and cother of nuerous books including "Inspiring Leader" and "The Extraordinary Leader".